David has worked hard at the firm to elevate himself through the ranks. He started with the firm in 1995 as a runner, was promoted to office administrator and worked as a law clerk. He worked full-time while attending college and law school. David’s efforts have paid off and he is now the Managing Shareholder of the firm. 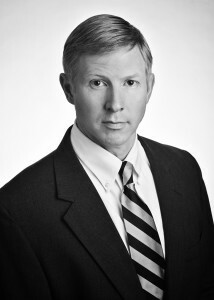 He was recently named as a Rising Star 2011 by Super Lawyers, which is a publication of top attorneys in Alabama. David is a 1996 graduate of Faulkner University. He attended the Thomas Goode Jones School of Law and obtained his J.D. degree in 2002. He also served as a Sergeant in the United States Marine Corps Reserve for 6 years. He received the Navy and Marine Corps Achievement Medal for his leadership of the Marines in his 155mm Howitzer Cannon section. David’s main areas of practice are insurance defense, motor vehicle defense, commercial and business litigation, workers’ compensation and general litigation. He has handled many cases involving motor vehicle accidents, wrongful death, and premises liability. David is a frequent speaker with the National Business Institute related to UM/UIM law. David is married and has two children. He enjoys hunting, biking, and working on his farm. Obtained a defense verdict in a clear liability T-bone automobile accident. Jacob Daniel Rodgers v. Lavern Dale Gustum, Circuit Court of Elmore County, Alabama, CV-2011-176.